The Astura was Lancia’s large car, built between 1931 and 1939. While production overlapped with the Dilambda that the Astura was to replace, it was Lancia’s flagship car and the competitor to the big Alfa Romeos, Delehayes (and the like) of the era. Built in three series, this Series III car is one of 1,243 examples built between 1933 and 1937. It was the most popular series. The Series III was powered by an 82 horsepower 3.0-liter V-8. While power seems a little light (it was), the car was relatively light as well, with Lancia suggesting that external coachbuilders keep the coachwork to a specific weight. Coachbuilt Asturas are pretty cars, this one being no exception. Pinin Farina’s sleek design was every bit as stylish as the cars coming out of France in the mid-1930s. Also, it has a power top. How many cars from 1936 can say that? This is one of 328 short wheelbase Series III Asturas built. It is also one of six “Tipo Bocca” (as Pinin Farina called them) Cabriolets built for one specific Lancia dealer in Italy (these six were split between short and long wheelbase chassis). The car made its way to America in 1947 and the current owner acquired it in 2011. It was exquisitely restored thereafter and won awards at both Amelia Island and Villa d’Este. And rightfully so – it’s gorgeous. Price when new? A not insignificant $4,200. Price today? An even less insignificant $2,000,000-$2,600,000. Click here for more info and here fore more from this sale. 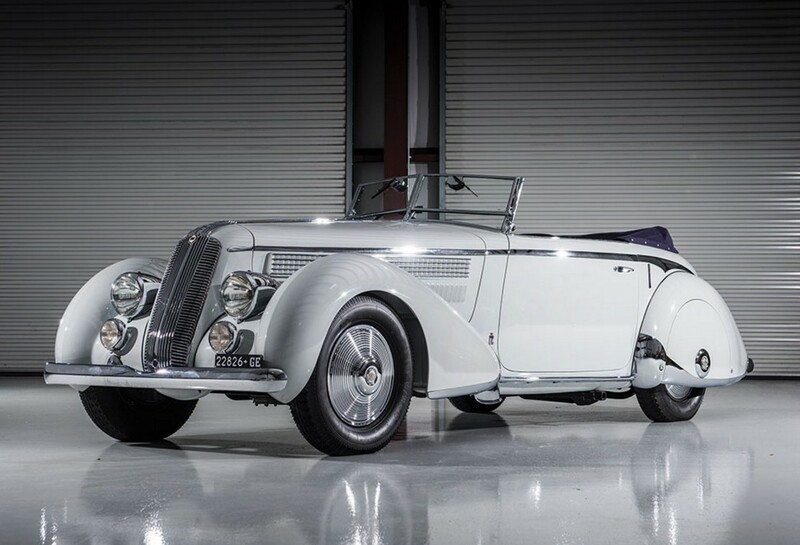 This entry was posted in Uncategorized and tagged 1936, astura, auctions, cabriolet, cars, classic cars, lancia, pinin farina, rm sothebys, series iii, tipo bocca by classiccarweekly. Bookmark the permalink.